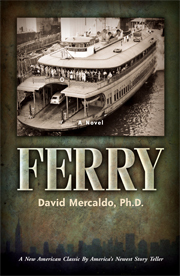 FERRY takes you on an extraordinary journey over the Hudson River to the big city on a fall day in the early 1950s. The trip across the narrows takes only few minutes but today you will live a lifetime during that that trip as you join, Angelo Marullo, the shoeshine and all of the "regulars." They've got stories to tell and adventures to live when they reach the big city. There's a seat right over there by the window waiting for you! FERRY will shortly be republished under the Paperclip Press imprint. Here’s the story of a little Yorkshire terrier who thought he was a boy. LITTLE BOY BOO is a wonderful interactive book that is perfect for the child in your life. Whether you are a teacher, parent or grandparent, this unique project paperback offers the young reader the opportunity to become the book’s Illustrator. There are games and puzzles to support reading comprehension and word meaning. At the end of the book there are lined pages for the child to create an original story. On the back cover the child gets affix a picture and write his/her own biography! There’s never been a child’s story book like this before! Great for the home…terrific for the classroom! 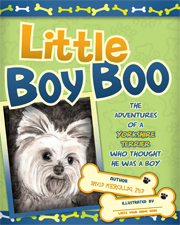 LITTLE BOY BOO will shortly be republished under the Paperclip Press imprint. 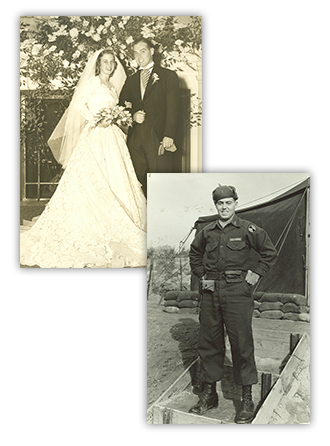 William R. MacIlvaine, a young Lt. during the Korean war, wrote an extraordinary trove of love letters to his wife while serving in Korea. The letters chronicle his transition from a young, inexperienced officer to a mature leader in this nearly forgotten conflict. He tells his story through a remarkable set of letters, each of which is a story unto itself. The letters are sealed with a running narrative that provides the context of the letters and a sense of the reallities of war and the circumstances of his experiences. When the author was twelve years old, his father took my brother and me on a weekend hunting trip to Elliott’s Island, Maryland. His dad was not a hunter, but many of his friends were. He says,[extra space deleted] "I will never forget the proprietor of what was later named the Mertle Gray Gunning Club, Sam Kenney, telling us that whatever we shot, we ate. That being said, Pete Malloy cooked us muskrat and wild duck for dinner that evening. The older gentlemen were kind enough to take us duck hunting that season; it was then that I first placed my hands on a decoy. I remember thinking that there was something special about that object, and that feeling never left me." 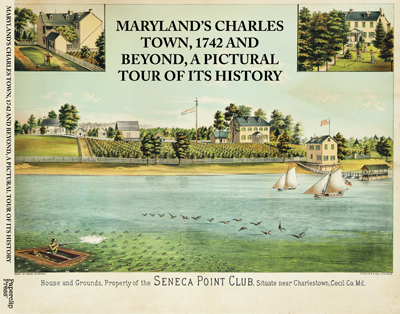 "I do not consider this book to be, by any means, an academic work, nor do I consider it to be a “decoy book.” Rather, it is my attempt to simply introduce this little town to those who might care, and provoke an argument with our neighbors in Harford County, as to where the first decoy capital of the world was located." Is it possible for a friendship to really last a life-time? SEAMSTRESS liter-ally "sews" together the lives of five women who were determined to let nothing get in the way of their friendship. They were determined to share their lives for as long as God gave them breath. This is their story...the way they would want it to be told! Mercaldo has captured the essence of human bonding like no other writer today! SEAMSTRESS is testimony to this accomplishment. This is a story of mid-twentieth century life in America, when the "dream" was alive, and there for the taking; when the family was found in a house of worship on Sunday morning and a "mil-lion" family members sat around dinner table! In the mid-twentieth century, America sewed! We knitted, crocheted and twisted yarn in more creative ways than imaginable! But there was also the seamstress. They came in all kinds of shapes, colors and sizes! She was your grandmother, aunt, mother, cousin, sister, and friend. They were all there passing the pieces of every kind of garment under the arm of the sewing machine. David Mercaldo has captured an era when Americans looked to the future and dreamed! 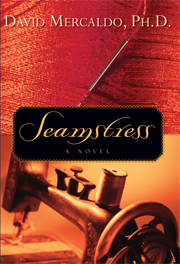 SEAMSTRESS will shortly be republished under the Paperclip Press imprint. 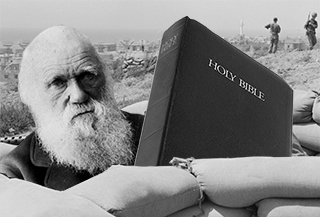 The Foxhole Theist tells the story of high school teacher Dominic Gambino, a.k.a. "Nickie Numbers," an agnostic, un-churched, funny, defiant, Italian-American from Coney Island, who ends up as an unlikely poster child for the religious right--and an even more unlikely murder suspect--by daring to defy the science establishment and to teach Darwinism objectively. This high information romantic thriller is based on real life events and is Jack's first novel since the popular 2006: The Chautauqua Rising, published in 2000. A project that provides that provides bi-vocational pastors in remote areas of developing countries to engage in expository teaching of the Bible. 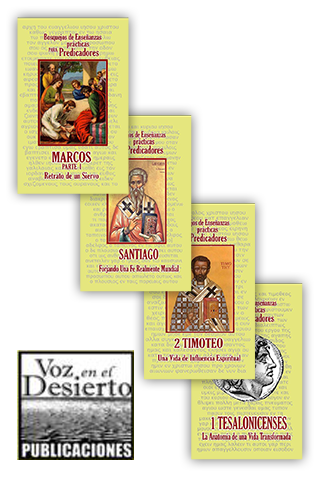 The first four editions have been successful and project now seeks to provide a complete course of study for pastors ministering to thier own people ares with few resources for education. "Tabloids and great literature both inspire dreamers. But only great literature allows dreamers to wake up and take world-changing action."